This article is 1960 days old. 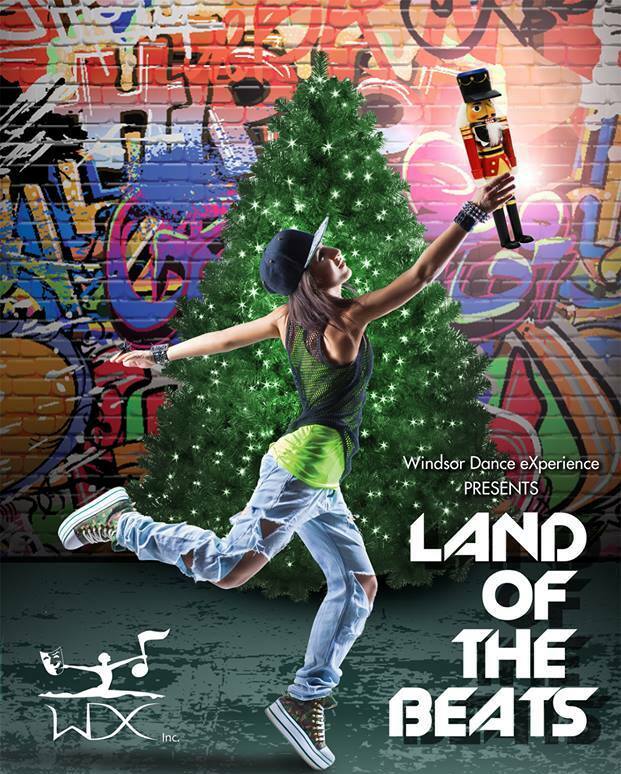 Windsor Dance Experience will present their Christmas show “Land of the Beats” on Friday, December 20th and Saturday December 21st at 7:30pm at the Capitol Theatre, located at 121 University Avenue West in Downtown Windsor. In “Land of the Beats” it’s Christmas Eve and we find Clara, Fritz and MC Dross at the dance battle of the year. After a fight between siblings, Clara travels to the Land of the beats (Land of the Sweets) where she learns dance is not only about competition but also about celebration. This Holiday show is set to the music of Glitch Mob, Pitbull, Black Eyed Peas, Macklemore, and many other artists that will get you dancing in your seat. A great night out for all ages. It is billed as the Nutcracker like you have never seen it before! Tickets are only $20 for adults and $15 for children 12 and under. You can purchase tickets online here or call 519-995-9990!